Latest collection of ready pleated sarees online at best prices. Choose from the huge collection of ready pleated sarees at Kalkifashion. Sarees hold the power to make a woman look beautiful in ways that are beyond definition. Thanks to their flowy nature, these aptly enhances a woman’s natural curves. But the charm that comes on wearing a saree is not as easy to fetch. The wearer needs to be more aware and select the right saree type as per their body. Also, it’s quite important to drape the saree in a faultless manner in order to appear like a diva. Does saree look good on everyone? Yes it does. 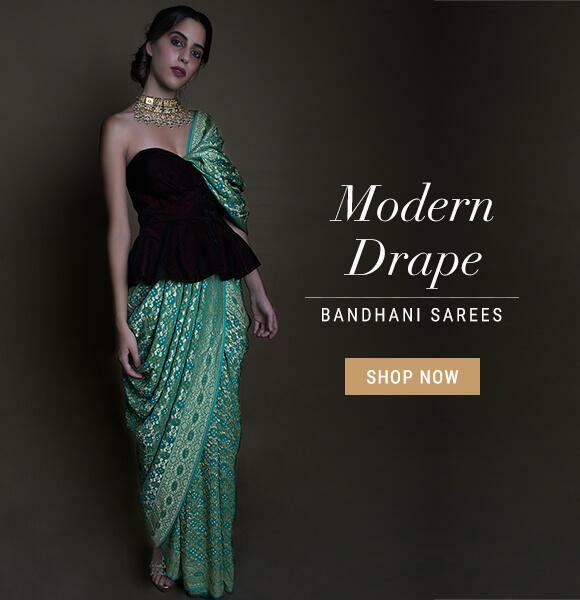 But, does everyone know how to perfectly drape a saree? A resounding no! This is exactly where a readymade saree comes to the rescue, letting the wearer look impeccable without having to struggle for it. Indian saree styles can be categorized according to their way of draping; both paloo and pleats. Though pleats are pretty much standard for all sarees, the paloo can be draped in multiple ways. The paloo can be draped in Gujarati style, Bengali, Butterfly, Nauvari, Gol paloo, Rajasthani, dhoti style and neck wrap style. Until you have had enough draping practice, getting the wraps right is next to impossible. A saree is generally 5 to 9 yards in length and draping something as long as this is not a joke. 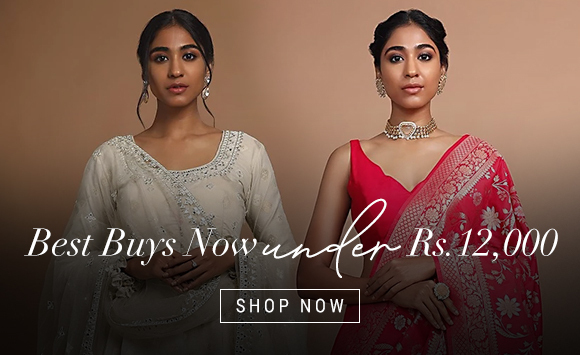 This is why it is a smart choice to opt for ready to wear saree where pleats and paloo are stitched in place and you just have to wear it like any other normal outfit. Ready pleated saree saves the bride or any wearer from the hassle of last minute draping and guarantees perfection irrespective of the person who is draping it. Readymade sarees on Kalki Fashion’s website are available in numerous designs, colors and styles. This is because the Kalki Designer understand that saree is a very versatile outfit that can be carried at multiple occasions. The collection of ready Indian saree styles are smartly segregated into heads like fabric, price, work, color and occasion. Also, a virtual assistant on board to ensure that your online shopping experience is exceptional, and you do not settle for anything less than you deserve. So, the next time you refrain from buying a saree just because you cannot drape it, ditch the doubt and buy ready to wear sarees from us.